Compatibility: Requires iOS 7 or later. 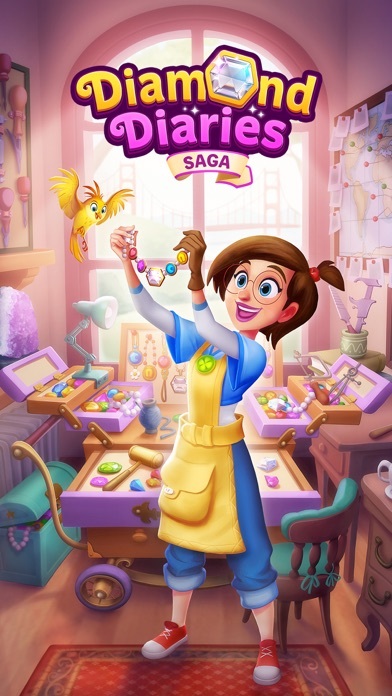 Download the new Diamond Diaries Saga, a brand new puzzle linker game from King, the creators of Candy Crush Saga. 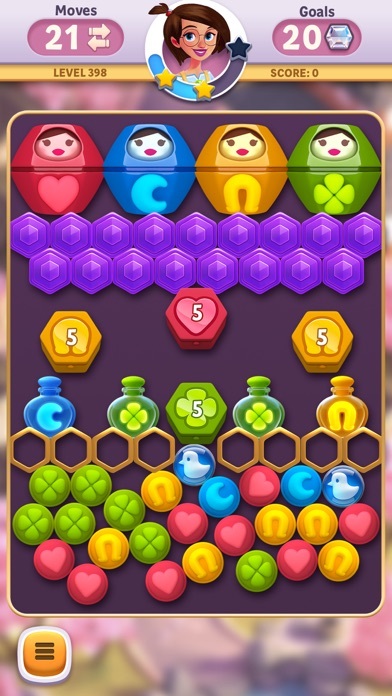 Create precious items of jewelry by linking 3 or more charms of the same color and complete the goal before you run out of moves! 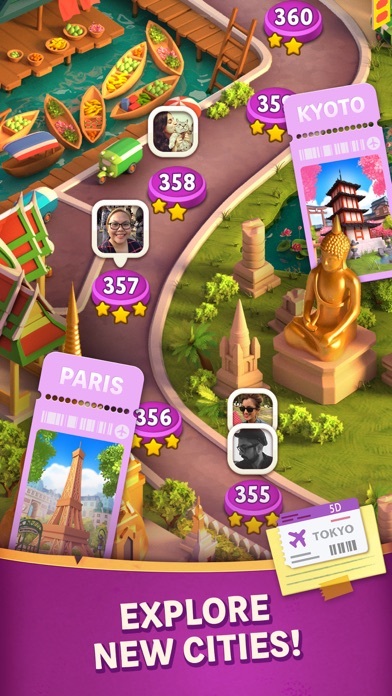 Travel to exotic cities with tons of fun, challenging levels and exciting new game modes. 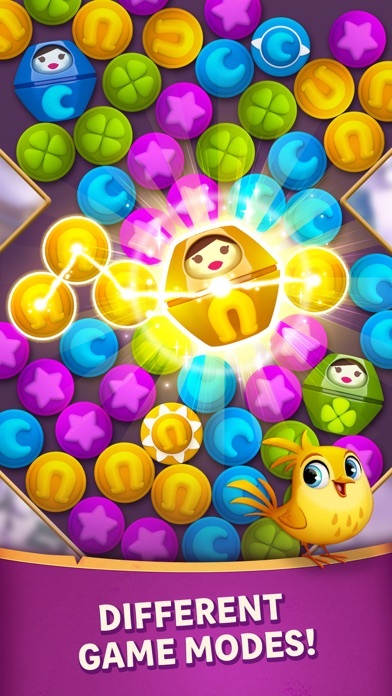 Enjoy a sparkling new way to connect beautiful charms in this exciting puzzle adventure! 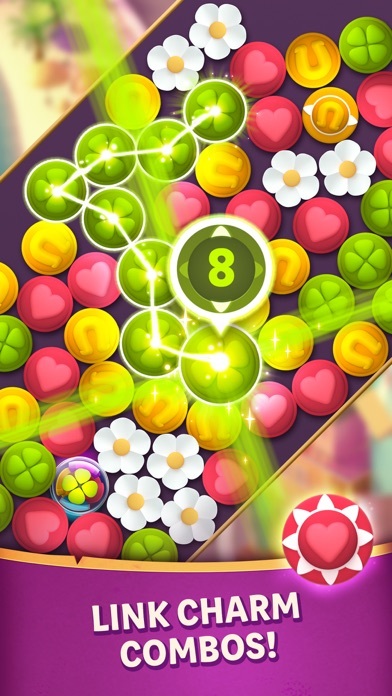 Easily sync the game between devices and access full game features when connected to the internet Take on this epic saga alone or play with friends to see who can get the highest score! 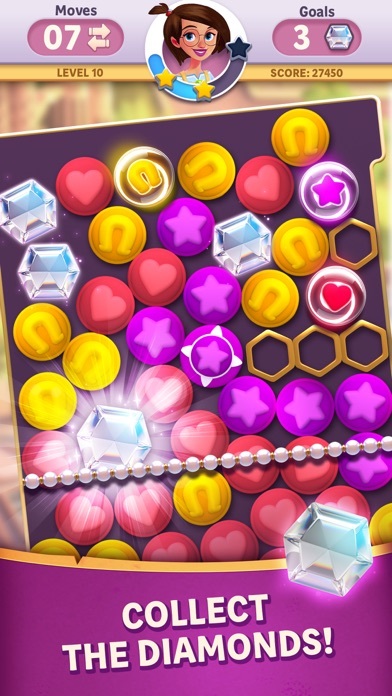 By downloading this app on your mobile you are agreeing to our terms of service; http://king.com/termsAndConditions Diamond Diaries Saga is completely free to play but some optional in-game items will require payment. You can turn off the payment feature by disabling in-app purchases in your device’s settings. If you need help or support, you will find helpful and extensive FAQs in our in-game Help Center. Just click tap the settings button and choose the "i" to find it. You can also share opinions, take part in contests and meet other members of the Diamond Diaries Saga Community https://community.king.com/en/diamond-diaries-saga Visit https://www.diamonddiariesgame.com to discover our game guides and a wealth of tips & tricks to satisfy any 24 carat cravings!